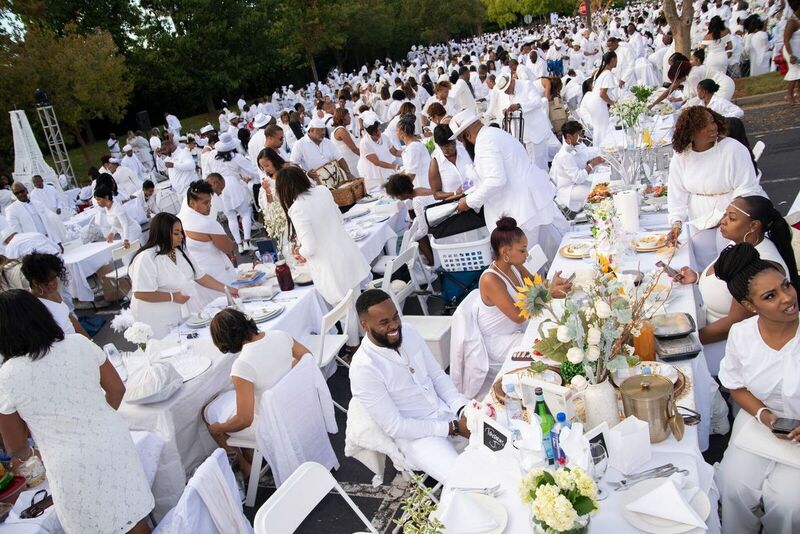 Atlanta, GA. 22 October 2018 – This past weekend 3,500 foodies, fashionistas, cultural enthusiasts, influencers and style-makers joined at The Gathering Spot, Atlanta’s premiere private membership club, for the 5th Anniversary edition of Le Dîner en Blanc – Atlanta. For this year’s milestone edition, Le Dîner en Blanc gave Atlantans a chance to showcase their classy taste for design and elegance, while sharing their gastronomic delights. World-renown for its photogenic moments, the Atlanta Le Dîner en Blanc was no exception, being held under the stars for an evening to remember. Photos from Le Dîner en Blanc are available: HERE. On June 3rd, Le Diner en Blanc de Paris marked its 30th anniversary! A record 17,000 guests from Paris and around the world gathered at the Esplanade des Invalides to celebrate this historic moment. Since its Parisian beginning, Le Dîner en Blanc has become a global phenomenon and taken over 80 cities around the world such as New York, Miami, Sydney, Los Angeles, Singapore, Buenos Aires, Mexico City, London, Montreal, Hong Kong, and Nairobi. Le Dîner en Blanc – Atlanta gratefully acknowledges La Fête du Rosé as an official local partner of this 5th anniversary edition of Le Dîner en Blanc – Atlanta, as well as Luxury Retreats and Sofitel as the 2018 Le Dîner en Blanc US national partners.